Competition is increasingly fierce in the high-end of the SUV market, with Aston Martin going up against the Bentley Bentayga, the Lamborghini Urus and the Rolls-Royce Cullinan. Aston Martin has confirmed that its first SUV will enter production in late 2019 at its new St Athan plant in Wales in the UK. While the British car manufacturer hasn't yet released any specs for this upcoming model, they have confirmed that the SUV will be named DBX. 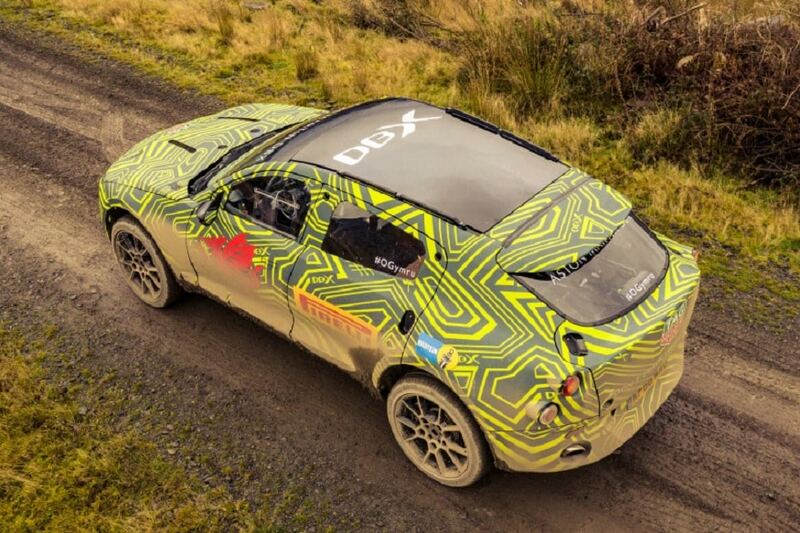 Aston Martin has released pictures of the SUV prototype having fun off-roading. There were some reports earlier from the British media that the Aston Martin's debut SUV, based on the DBX concept, presented in 2015 at Pebble Beach, California, could be called the Varekai. Competition is increasingly fierce in the high-end of the SUV market, with Aston Martin going up against the Bentley Bentayga, the Lamborghini Urus and the Rolls-Royce Cullinan. Ferrari also has its first SUV in the works. The gasoline version is expected to get the firm's V12 engine, but Aston Martin may be aiming to cook up the world's most powerful SUV, outstripping the 650HP Lamborghini Urus, thanks to a hybrid powertrain. For that, the manufacturer will apparently be using a Mercedes-AMG four-litre V8 twin-turbo engine matched with an electric motor of around 200HP, which together come close to 700HP. Note that Aston Martin has another SUV in the pipeline, this time for its premium Lagonda brand, due 2021 at the earliest. It is based on the Lagonda Vision Concept, a semi-autonomous vehicle presented at the Geneva Motor Show in March 2018.